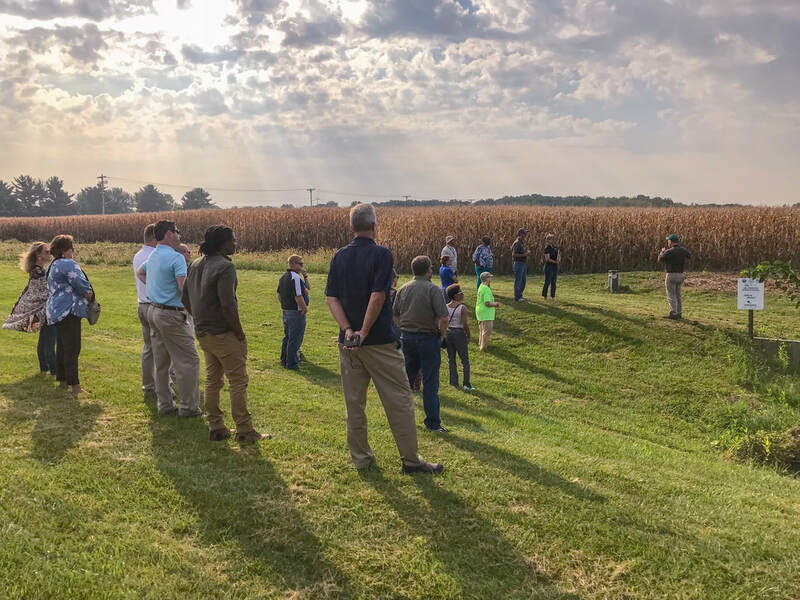 Thanks to everyone that attended our 4R Field Day! 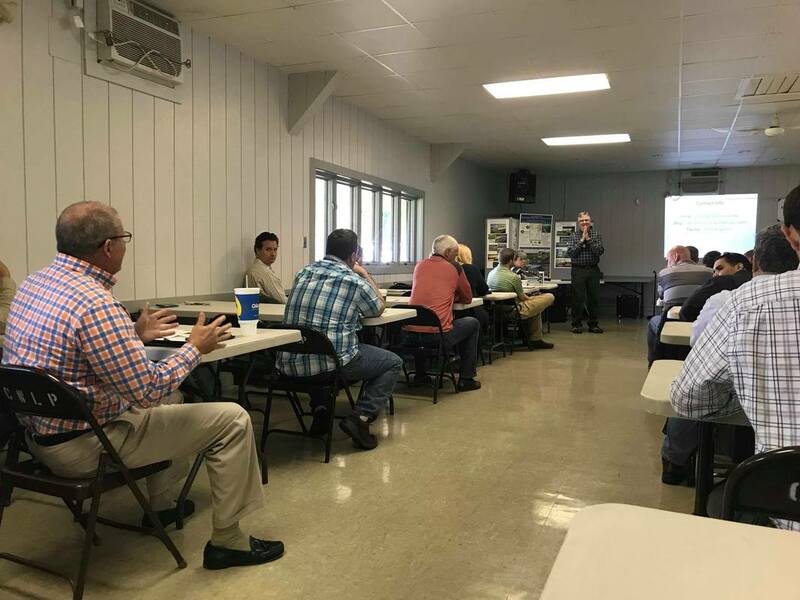 With over 90 people present it turned out to be a very good workshop! 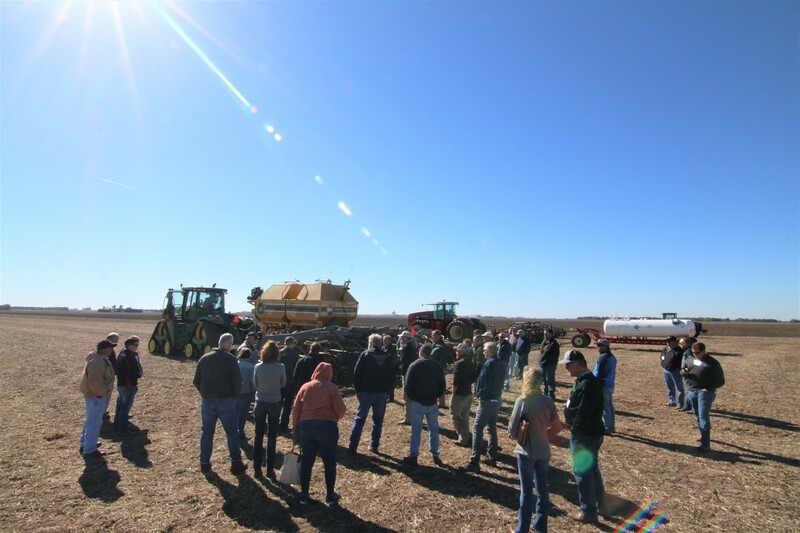 A special thanks to Garry Niemeyer for hosting! 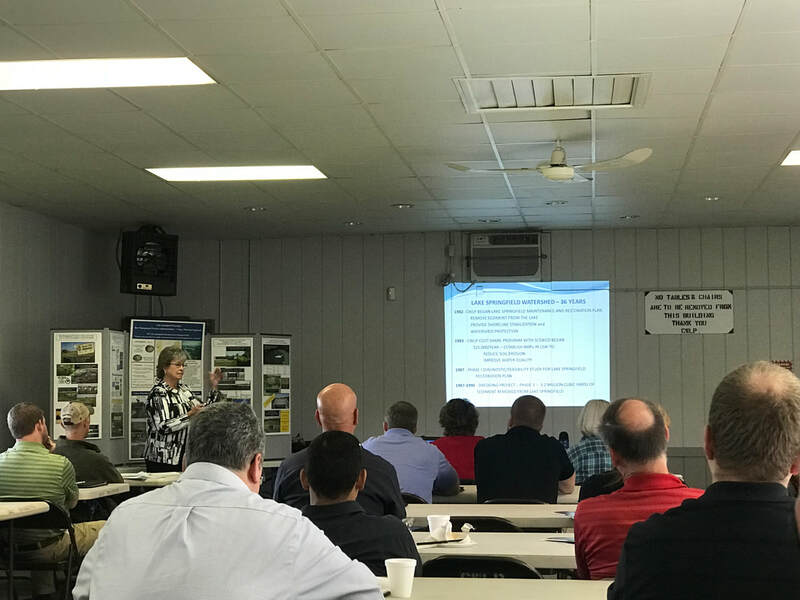 Barb Mendenhall and Jake Vancil were guest speakers at the Source Water Summit held at Bridgeview Park. 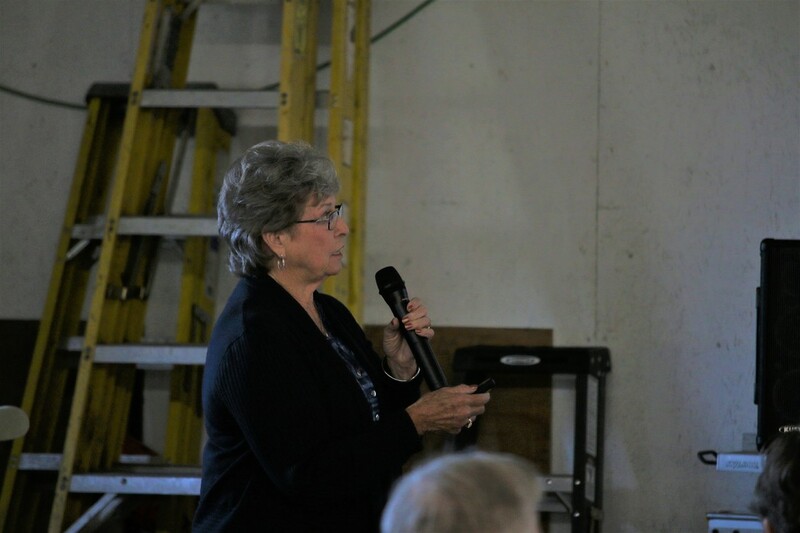 There were many great presenters talking about ongoing source water concerns throughout the state. 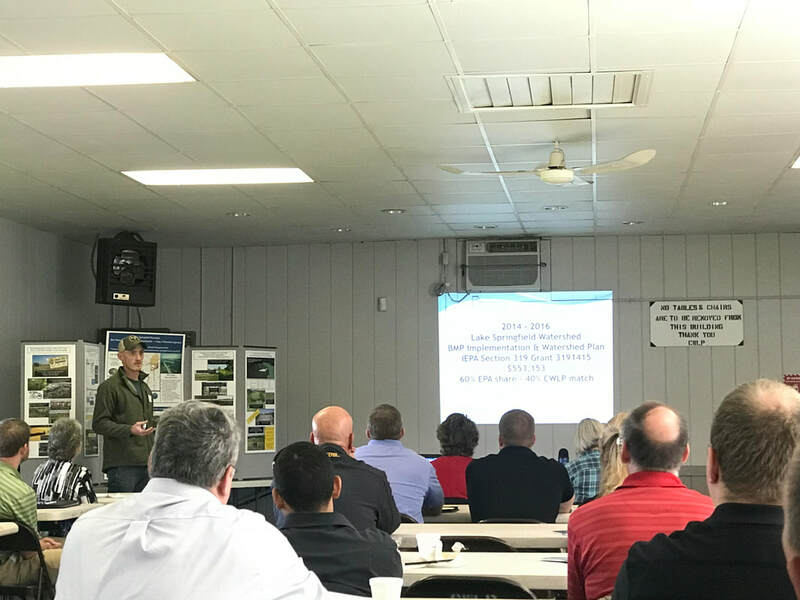 Barb and Jake highlighted on what the Sangamon County Soil and Water Conservation District, along with its partners, are doing to help water quality within the Lake Springfield Watershed. A special thanks to everyone involved! 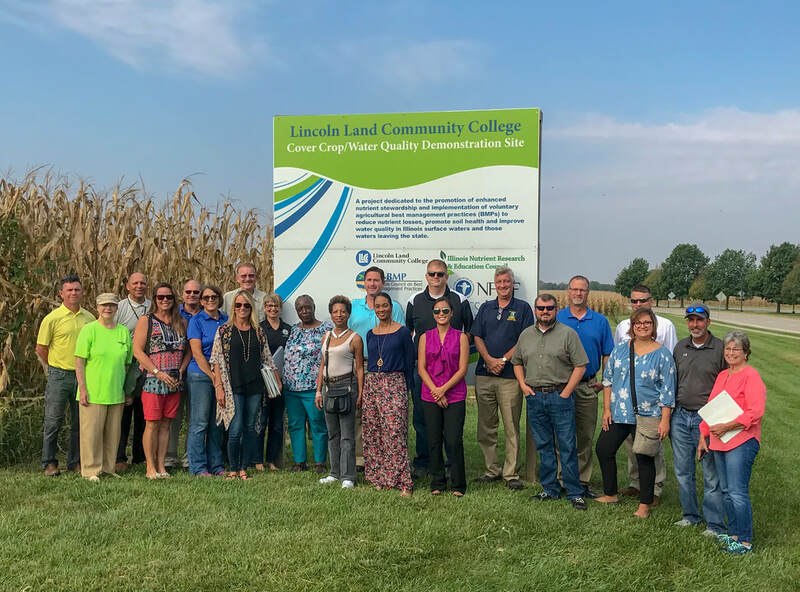 A special thanks to the LSW producers for taking the time to meet our legislatures and agency representatives to explain the different conservation practices they are implementing within the Lake Springfield Watershed. 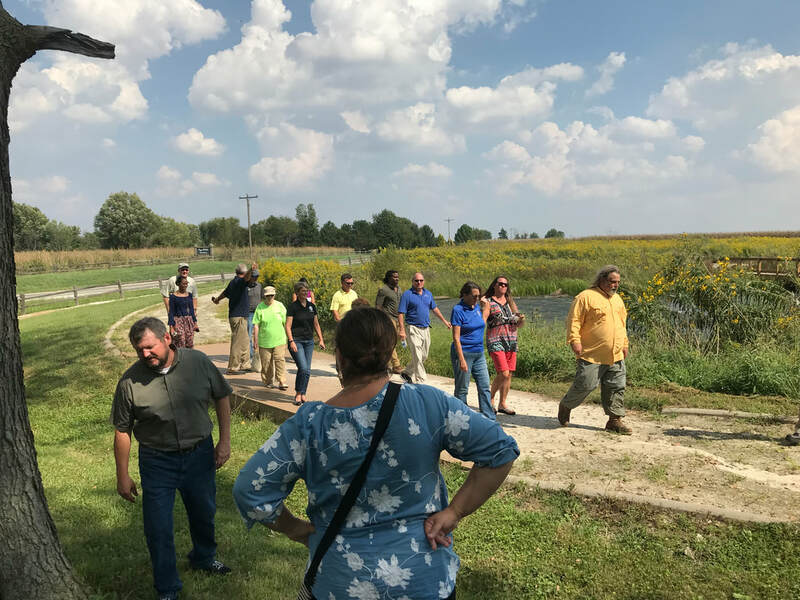 The staff at the Sangamon County Soil and Water Conservation District, along with U.S. EPA, Illinois EPA and CWLP braved the 100 degree heat to conduct site visits around Sangamon County on projects completed under the last 319 grant. 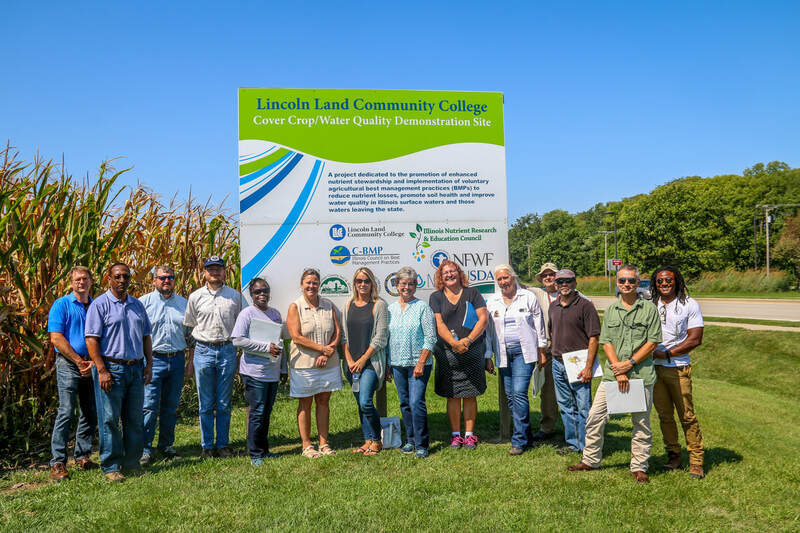 Despite the heat we had a great turn out with U.S. EPA, Illinois EPA, CWLP and Sangamon County SWCD. 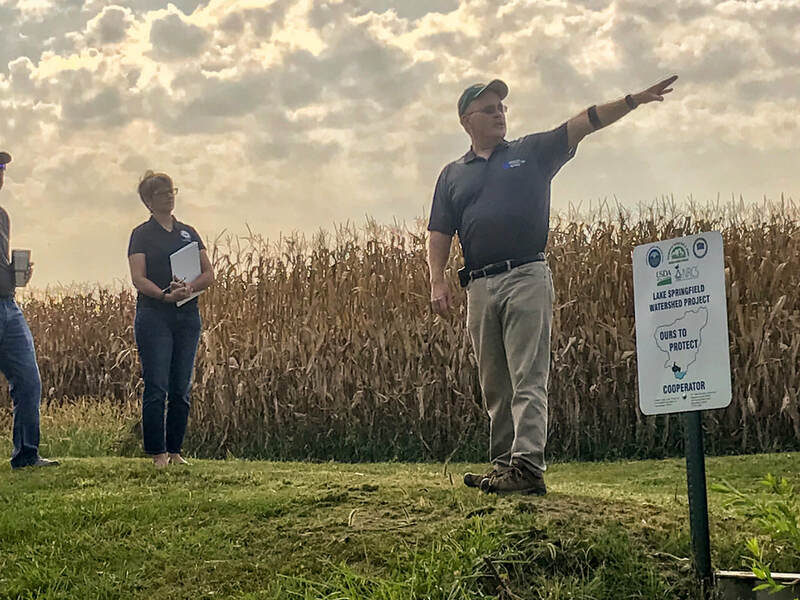 Karl Curby, a Sangamon County farm producer, explains to the U.S. EPA and IEPA the different Best Management Practices (BMP) implemented on one of his fields that was partially funded under the 319 grant. Pictured is the aluminum toe-wall structure constructed at Lincoln Land Community College. 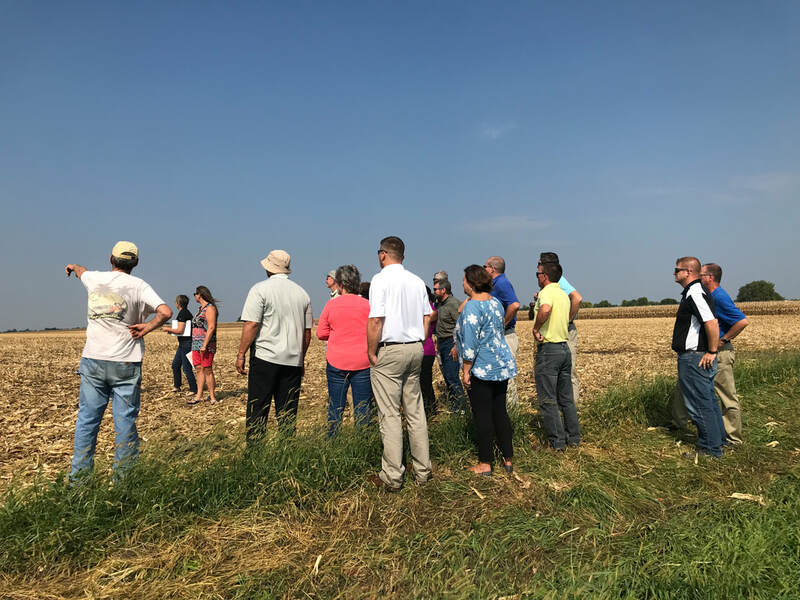 George Tinkam, a Sangamon County farm producer, explaining the benefits the block chute and waterway project partially funded under the EPA 319 grant benefits his farm. 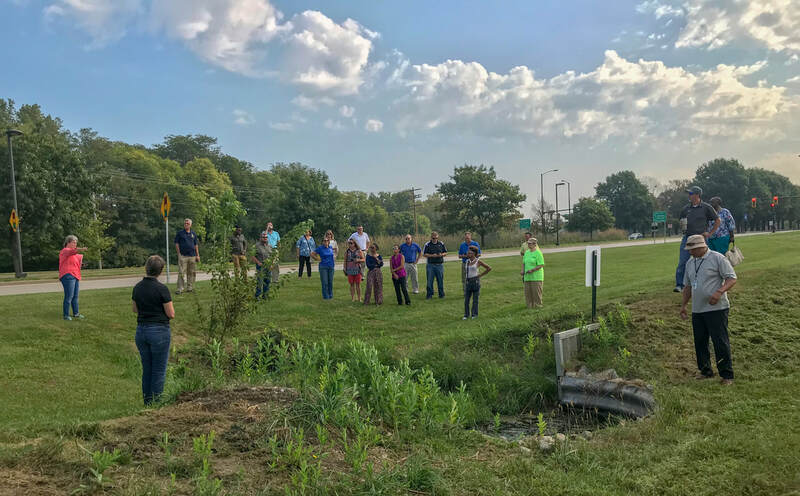 Site visit at the Lincoln Land Community College bioreactor, aluminum toe-wall and waterway site. 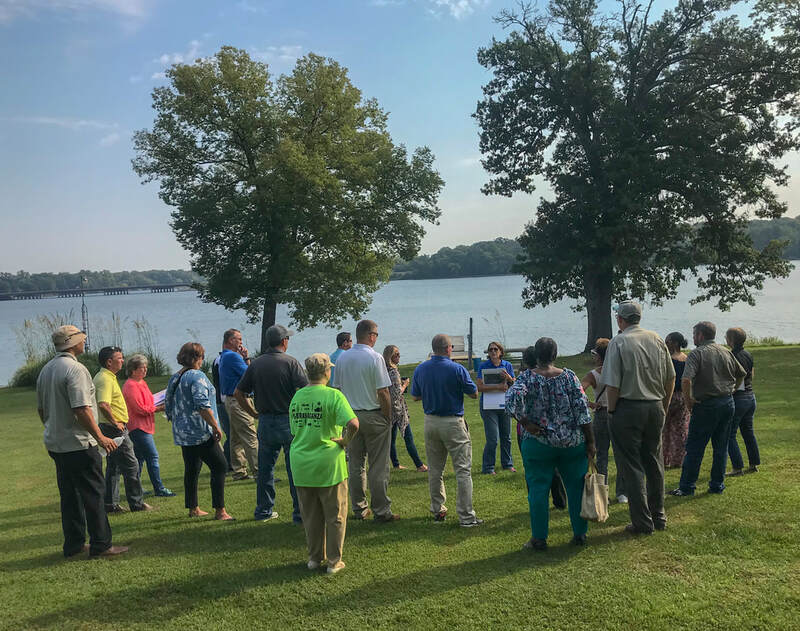 As part of the Illinois Environmental Protection Agency (IEPA) 319 Grant, the Sangamon County Soil and Water Conservation District has been working hard to improve the Lake Springfield shoreline. In the current project, we were able to install rip-rap on 1500' of shoreline. 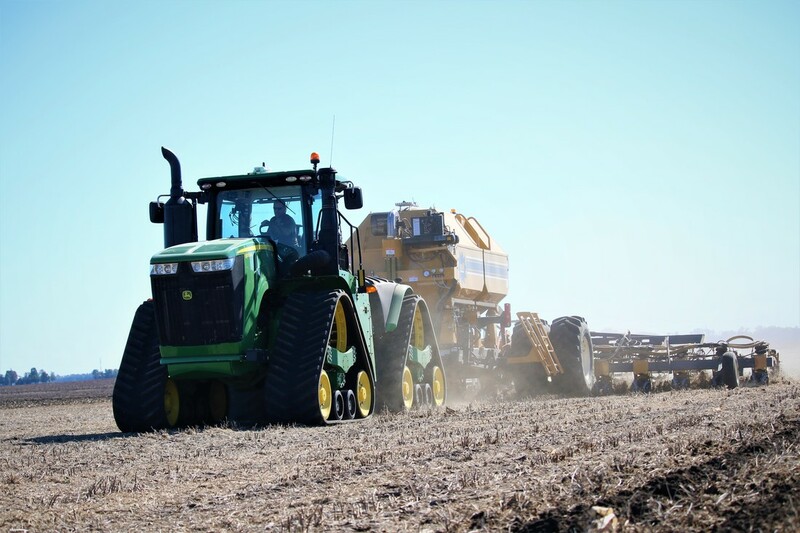 We can't thank the contractors and cooperating partners enough for all of their hard work in trying to conserve our resources! 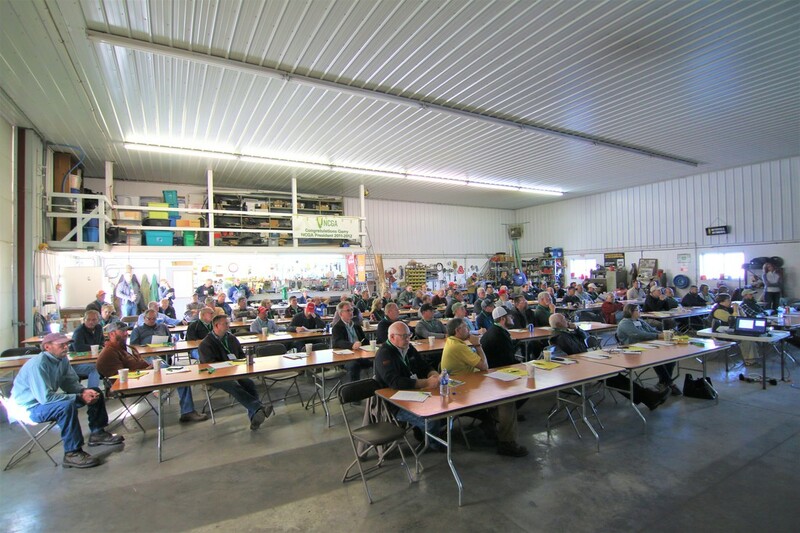 Had a great turn out at the Soil Health Partnership field day! A big thanks to Dave Moose for hosting the event! 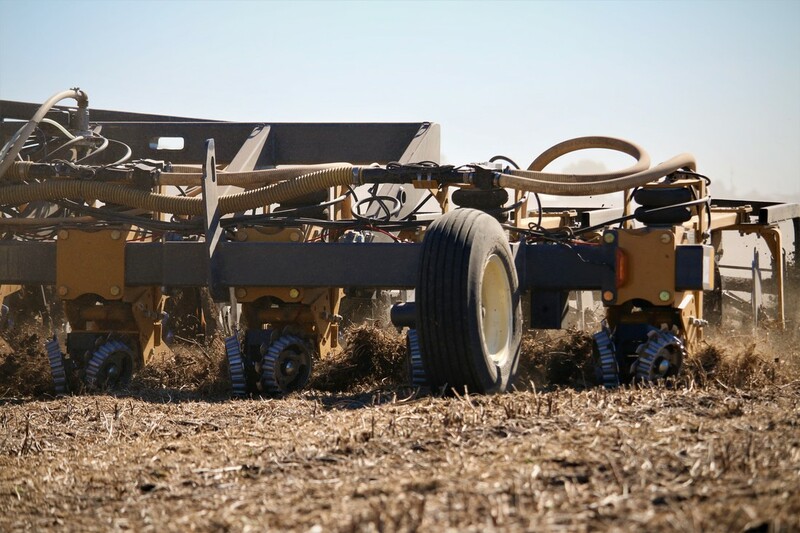 Click the green button below to learn more about the Soil Health Partnership and more upcoming events!